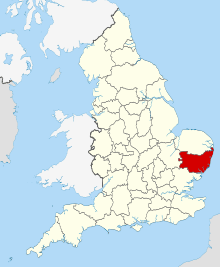 For other uses, see Suffolk (disambiguation). On 1 April 1974, under the Local Government Act 1972, East Suffolk, West Suffolk, and Ipswich were merged to form the unified county of Suffolk. The county was divided into several local government districts: Babergh, Forest Heath, Ipswich, Mid Suffolk, St. Edmundsbury, Suffolk Coastal, and Waveney. This act also transferred some land near Great Yarmouth to Norfolk. As introduced in Parliament, the Local Government Act would have transferred Newmarket and Haverhill to Cambridgeshire and Colchester from Essex; such changes were not included when the act was passed into law. Beginning in February 2008, the Boundary Committee again reviewed local government in the county, with two possible options emerging. One was that of splitting Suffolk into two unitary authorities – Ipswich and Felixstowe and Rural Suffolk; and the other, that of creating a single county-wide controlling authority – the "One Suffolk" option. In February 2010, the then-Minister Rosie Winterton announced that no changes would be imposed on the structure of local government in the county as a result of the review, but that the government would be: "asking Suffolk councils and MPs to reach a consensus on what unitary solution they want through a countywide constitutional convention". Following the May 2010 general election, all further moves towards any of the suggested unitary solutions ceased on the instructions of the incoming Coalition government, and the administrative structures of the county are, therefore, unchanged. 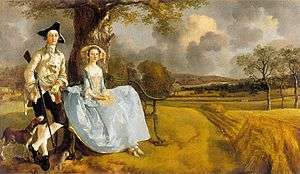 In the arts, Suffolk is noted for having been the home to two of England's best regarded painters, Thomas Gainsborough and John Constable – the Stour Valley area is branded as "Constable Country" – and one of its most noted composers, Benjamin Britten. Other artists of note from Suffolk include the cartoonist Carl Giles (a bronze statue of his character "Grandma" to commemorate this is located in Ipswich town centre), poets George Crabbe and Robert Bloomfield, writer and Literary editor Ronald Blythe, actors Ralph Fiennes and the late Bob Hoskins, actress and singer Kerry Ellis, musician and record producer Brian Eno, singer Dani Filth, of the Suffolk-based extreme metal group, Cradle of Filth, and singer-songwriter Ed Sheeran. Hip-hop DJ Tim Westwood is originally from Suffolk and the influential DJ and radio presenter John Peel made the county his home. Contemporary painter, Maggi Hambling, was born, and resides, in Suffolk. Significant ecclesiastical figures from Suffolk include Simon Sudbury, a former Archbishop of Canterbury; Tudor-era Catholic prelate Thomas Cardinal Wolsey; and author, poet and Benedictine monk John Lydgate. 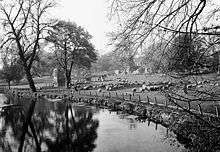 Other significant persons from Suffolk include the suffragette Dame Millicent Garrett Fawcett; the captain of HMS Beagle, Robert FitzRoy; Witch-finder General Matthew Hopkins; and Britain's first female physician and mayor, Elizabeth Garrett Anderson. Charity leader Sue Ryder settled in Suffolk and based her charity in Cavendish. Suffolk has a comprehensive education system with fourteen independent schools. Unusually for the UK, some of Suffolk has a 3-tier school system in place with primary schools (ages 5–9), middle schools (ages 9–13) and upper schools (ages 13–16). However, a 2006 Suffolk County Council study concluded that Suffolk should move to the 2-tier school system used in the majority of the UK. For the purpose of conversion to 2-tier, the 3-tier system has been divided into 4 geographical area groupings and corresponding phases. The first phase was the conversion of schools in Lowestoft and Haverhill in 2011, followed by schools in north and west Suffolk in 2012. The remainder of the changeovers to 2-tier will take place from 2013, for those schools that stay within Local government control, and not become Academies and/or free schools. The majority of schools thus now (2013) operate the more common primary to high school (11–16). Many of the county's upper schools have a sixth form and most further education colleges in the county offer A-level courses. In terms of school population, Suffolk's individual schools are large with the Ipswich district with the largest school population and Forest Heath the smallest, with just two schools. In 2013, a letter said that "...nearly a fifth of the schools inspected were judged inadequate. This is unacceptable and now means that Suffolk has a higher proportion of pupils educated in inadequate schools than both the regional and national averages." The Royal Hospital School near Ipswich is the largest independent boarding school in Suffolk. Sixth form colleges in the county include Lowestoft Sixth Form College and Suffolk One in Ipswich. Suffolk is home to four further education colleges: Lowestoft College, Easton & Otley College, Suffolk New College (Ipswich) and West Suffolk College (Bury St Edmunds). University Campus Suffolk, a collaboration between the University of Essex, the University of East Anglia, partner colleges such as Suffolk New College and local government, began accepting its first students in September 2007. The main Ipswich based waterfront campus building was due completed in 2008. Prior to this Suffolk was one of the few English counties not to contain a university campus. University Campus Suffolk was awarded full and independent University status in May 2016, and will be renamed the University of Suffolk in August 2016. The Suffolk dialect is distinctive. The county's sole professional football club is Ipswich Town. Formed in 1878, the club were Football League champions in 1961–62, FA Cup winners in 1977–78 and UEFA Cup winners in 1980–81. Ipswich Town currently play in the Football League Championship – the next highest ranked team in Suffolk is Lowestoft Town who participate in the Conference North, followed by Bury Town and Leiston of the Isthmian League Premier Division, one division below Lowestoft. Speedway racing has been staged in Suffolk since at least the 1950s, following the construction of the Foxhall Stadium, just outside Ipswich, home of the Ipswich Witches. The Witches are currently members of the Premier League, the UK's second division. National League team Mildenhall Fen Tigers are also from Suffolk. 'Casper' from the Edinburgh Monarchs speedway squad was also a native of Suffolk for a brief period in the 1970s. Founded in 1948 by Benjamin Britten, the annual Aldeburgh Festival is one of the UK's major classical music festivals. Originating in Aldeburgh, it has been held at the nearby Snape Maltings since 1967. Since 2006, Henham Park, has been home to the annual Latitude Festival. This mainly open-air festival, which has grown considerably in size and scope, includes popular music, comedy, poetry and literary events. The FolkEast festival is held at Glemham Hall in August and attracts international acoustic, folk and roots musicians whilst also championing local businesses, heritage and crafts. In 2015 it was also home to the first instrumental festival of musical instruments and makers. More recently, LeeStock Music Festival has been held in Sudbury. A TV series about a British antiques dealer, Lovejoy, was filmed in various locations in Suffolk. The reality TV Series Space Cadets was filmed in Rendlesham Forest, although the producers fooled participants into believing that they were in Russia. Several towns and villages in the county have been used for location filming of other television programmes and cinema films. These include the BBC Four TV series Detectorists, an episode of Kavanagh QC, and the films Iris and Drowning by Numbers. ↑ "Top 50 Container Ports in Europe". World Shipping Council. Retrieved 17 July 2015. ↑ "English Place Names". englishplaceneames.co.uk. James Rye. Retrieved 20 October 2015. ↑ "Local Government Act, 1888" (PDF). legislation.gov.uk. Government of Great Britain. Retrieved 21 October 2015. ↑ "Local Government Act 1972". legislation.gov.uk. National Archives. Retrieved 21 October 2015. ↑ "[ARCHIVED CONTENT] UK Government Web Archive". communities.gov.uk. ↑ "Suffolk structural review". The Electoral Commission. Retrieved 21 September 2009. ↑ "Unitary authorities-Exeter and Norwich get green light; Suffolk to decide locally; no change for Norfolk and Devon". Department for Communities and Local Government. Archived from the original on 14 February 2010. Retrieved 10 February 2010. ↑ "Pickles stops unitary councils in Exeter, Norwich and Suffolk". Department for Communities and Local Government. Retrieved 25 July 2010. ↑ "Sutton Hoo History". nationaltrust.org. The National Trust. Retrieved 22 October 2015. ↑ "The Suffolk Show". suffolkshow.co.uk. Suffolk Show 2015. ↑ "[ARCHIVED CONTENT] UK Government Web Archive" (PDF). statistics.gov.uk. ↑ Archived 7 April 2008 at the Wayback Machine. ↑ Archived 25 September 2009 at the Wayback Machine. ↑ Archived 18 October 2012 at the Wayback Machine. ↑ "Oxlip | Plant & fungi species | Wild plants". Plantlife.org.uk. Retrieved 6 June 2015. ↑ "Area Profile Suffolk Observatory". suffolkobservatory.info. GeoWise. Retrieved 21 October 2015. ↑ "Biography". Gainsborough's House. Retrieved 30 October 2008. ↑ "Constable Country walk". The National Trust. Retrieved 30 October 2008. ↑ "Interviews: Benjamin Britten 1913 – 1976". BBC Four online. Archived from the original on 28 January 2007. Retrieved 30 October 2008. ↑ Cousin, John W. "A Short Biographical Dictionary of English Literature". Project Gutenberg. Retrieved 30 October 2008. ↑ Lusher, Adam (21 October 2006). "John Peel leaves his wife £1.5m, oh, and 25,000 records". The Daily Telegraph. Retrieved 14 November 2008. ↑ "Suffolk Free Press". Sudburytoday.co.uk. Retrieved 6 June 2015. ↑ "Letter to local authority DCS following focused school inspections" (PDF). Retrieved 29 February 2016. ↑ Archived 7 February 2008 at the Wayback Machine. ↑ "University Campus Suffolk gains independence". BBC News. 17 May 2016. ↑ "University Campus Suffolk gains approval to become the University of Suffolk". ucs.ac.uk. 4 July 2016. ↑ "Club honours". Ipswich Town F.C. Archived from the original on 13 December 2005. Retrieved 14 April 2008. ↑ "Suffolk Tourism". www.suffolktouristguide.com. Retrieved 2 February 2009. ↑ "Tattersalls". tattersalls.com. Tattersalls Ltd. Retrieved 21 October 2015. ↑ "National Horseracing Museum". National Horseracing Museum. Retrieved 21 October 2015. ↑ "Courses". www.pointingea.com. Retrieved 14 April 2008. ↑ "Ipswich Speedway Official Website". ipswichwitches.co. Ipswich Speedway. Retrieved 21 October 2015. ↑ "Mildenhall Fen Tigers". mildenhallfentigers.co. Mildenhall Speedway. Retrieved 21 October 2015. ↑ "Minor Counties Cricket Association". =Cricinfo. Retrieved 27 August 2008. ↑ "Minor Counties Roll of Honour". www.ecb.co.uk. Retrieved 27 August 2008. ↑ "Minor County Grounds". Cricinfo. Retrieved 27 August 2008. ↑ "Aldeburgh Festival History". aldeburgh.co.uk. Aldeburgh Music. Retrieved 21 October 2015. ↑ "Festivals guide 2014 listings: folk and world music". The Guardian. 31 May 2014. ↑ "Instrumental at Folk East". folkeast.co.uk. FolkEast Ltd. Retrieved 21 October 2015. ↑ "LeeStock Music Festival". leestock.org. Leestock Musical Festival Ltd. Retrieved 21 October 2015. ↑ "The Rings of Saturn". The New York Times. Retrieved 8 December 2015. ↑ "Roald Dahl and the Mildenhall Treasure". britishmuseum.org. The British Museum. Retrieved 21 October 2015. ↑ "Lovejoy". imdb.com. 10 January 1986. ↑ "Space Cadets". ukgameshows.com. UK Game Shows. Retrieved 21 October 2015. ↑ "UFOFiles Rendlesham Forest". The Daily Telegraph. Retrieved 21 October 2015. Wikivoyage has a travel guide for Suffolk. Wikimedia Commons has media related to Suffolk.